What are common behaviors related to sensory issues? Various reasons for these behaviors exist. They can be automatically reinforcing, meaning they produce a positive result without the assistance of another person. For example, these behaviors may help children soothe themselves when they are overwhelmed by sensory input. Social contingencies in the environment also play a factor. Children may demonstrate these behaviors if they are rewarded with attention or access to an object they want. How can I help my child function better in spite of their sensory issues? The most effective way to manage any behavior is to investigate its function. The reason behind each child’s behavior is unique to them. 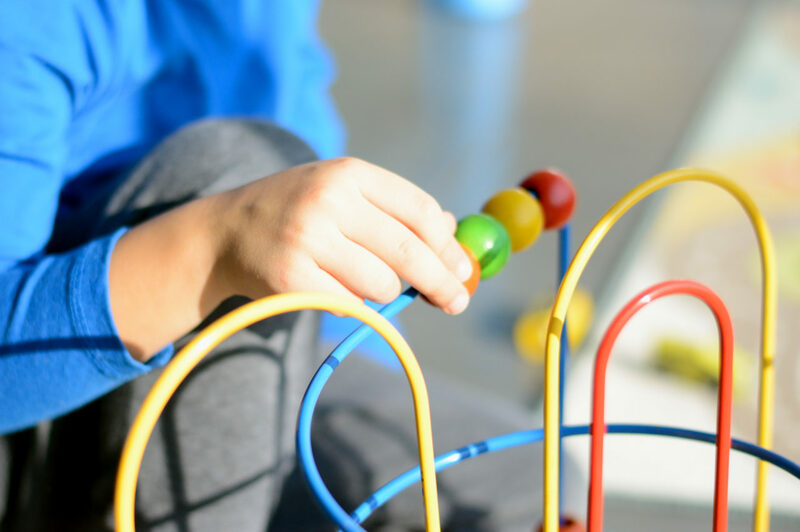 A Board Certified Behavior Analyst® (BCBA®) at Trumpet Behavioral Health can complete an in-depth assessment to identify the root cause of the child’s sensory issues. BCBAs can then use this information to help the child cope better in their environment. This may include teaching the child new and more effective behaviors. The internet has many recommendations for dealing with sensory issues, but it is important not to follow general suggestions without first checking with a BCBA. Online suggestions may not address the reason for your child’s behavior, and can be expensive or even harmful. Instead of relying on the web, begin by speaking with an expert who can help you understand the reasons for your child’s sensory issues and behaviors. Contact us if you would like to learn more about how Trumpet Behavioral Health and ABA therapy can help your child.